‘Benitez has reached the point where he is looking for an excuse to stay’ – Report – NUFC blog – Newcastle United blog – NUFC Fixtures, News and Forum. According to the Telegraph’s Luke Edwards, Rafa Benitez has reached the point where he is ‘looking for an excuse to stay’ at Newcastle – suggesting that he’s yet to ‘convince himself that he wants to leave’. It sounds about right to me. For all the talk that Rafa’s been at ‘breaking point’ at different stages over the last few years, he’s always remained – so it’s clear he now feels very much attached to this club, his players and our supporters. ‘Benitez has engineered this position because he needs bargaining power. He does not trust owner Mike Ashley, but neither has he convinced himself that he wants to leave. If anything, Benitez has reached the point where he is looking for an excuse to stay. That should make a positive outcome easier to reach. I do think he’ll walk this summer if the offer put to him are woefully short of his expectations, but I think he’ll be prepared to compromise if it means he can remain at the club and at least see things steadily improve? ‘If he remains suspicious about Ashley’s long-term goals, that should still not prevent him from a signing a one-year rolling contract that means, if promises are broken, he can leave without financial penalty. 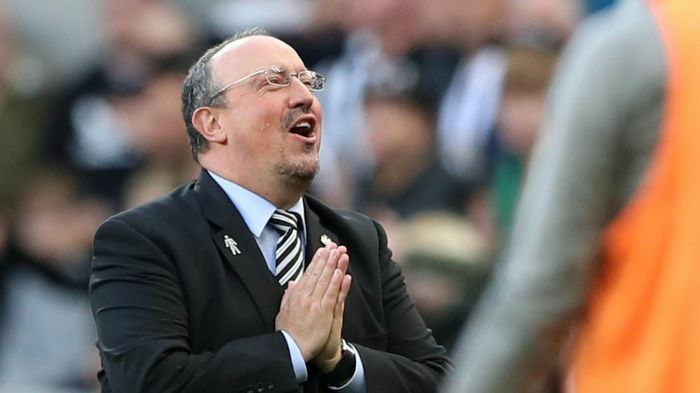 A one year contract could be the most realistic option if Rafa isn’t given terms that allow him to commit in the long-term, although the Chronicle did claim just this week that he isn’t interested in a short-term deal that offers no ‘vision’ moving forward. Time will tell, but it seems Benitez is giving Ashley every opportunity to keep him at the club! Rafa will be doing the club, and the fans, a disservice if he stays without cast iron assurances on being able to spend all of the money the club generates. The press are again trying to whip up a story where there isn’t one.